The Joint Sub-Committee on Review of the Joint Rules met to consider party inputs on disruptions during joint sittings, and to consider draft joint rules on the functions and powers of the Joint Standing Committee on Defence. Members firstly noted that a Rule dealing with the removal of a Member from the Chamber had been debated at length in the sub Committee considering the National Assembly (NA) rules, and essentially the request from the National Council of Provinces (NCOP) was that a similar rule apply in the NCOP and to joint proceedings. This was a contentious matter but all parties except one had agreed to that rule and it had already been applied in the NA; the Chairperson was of the view that it was constitutionally sound. The adjustments to the Joint Rules on this point related to the interpretation of “Parliamentary Protection Services” insertion of a definition for “usher”, removal of references to “presiding officers” so that only the Speaker or Chairperson of the Council could call security services to come into the Chamber, and an extension so that members of the public in the gallery who participated in disorderly conduct could also be removed by security services. Members from the Economic Freedom Fighters (EFF) raised a number of concerns and disagreements with the rule. They suggested that the use of force was tantamount to assault, noted that the police could only use force during an arrest and nobody could be arrested for anything said in the House, and questioned the automatic suspension, and how this then tied in with the role of the multi-party committee that was supposed to be established to look into events leading to the suspension. Other Members wanted clarity on whether any presiding officer had authority to call the Serjeant at Arms. The Chairperson noted that this matter had been debated exhaustively in the NA sub-Committee and felt that no further debate was necessary on this comparable wording, although the objections of the EFF would be noted. The sub Committee then turned its attention to the draft rules on the functions and powers of the Joint Standing Committee on Defence. A Procedural Adviser noted that the report on the Joint Standing Committee on Defence was adopted by the National Assembly in the previous Parliament, and referred to the sub Committee at the beginning of the Fifth Parliament. The main problem was the overlap between the mandates of the Portfolio Committee on Defence and the Joint Standing Committee on Defence, and these rules were attempting to provide clarity. Membership of the Committee and the size of the Committee would be determined at the start of each Parliament, according to rule 120B. All political parties with ten or more Members were entitled to sit on the joint Committee and membership was therefore determined by a formula and was along party lines. Rule 120C dealt with the Chairperson and it was proposed that two co-chairpersons be appointed, one from the NA and one from the NCOP. Decisions around deployment were presently handled and reported on by the Joint Standing Committee, and the procedure for declarations during a State of Emergency was outlined. It was further pointed out that although an oversight committee over police and defence force existed on paper, as there was a constitutional requirement for such a committee, it had in fact not be established since its functions were handled by other existing committees. The committees should work together to avoid duplication. Members agreed to present the rules for consideration but there was a suggestion that rule 117 be left aside for the moment. Members also adopted minutes from previous meetings. The Chairperson noted that there was only one Member representing the National Council of Provinces (NCOP), but he was happy to allow the meeting to continue if that representative had no objection. The Committee would go through the matters in the order in the draft agenda, which was formally adopted. Ms T Mokwele (EFF) (North West) raised a concern and indicated that she was a Member of the Joint Sub Committee but her name was not on the list. Dr H Mateme (ANC)(Limpopo) said maybe Ms Mokwele was a member of the Council and not a Member of the Joint Sub Committee on Rules. Ms Mokwele insisted that she was a Member of the Committee and asked that the Chairperson investigate the matter and correct it. The Chairperson said the Committee would investigate the matter and deal with Ms Mokwele’s membership to the Committee. He indicated that the Committee minutes would be dealt with in the next meeting. The Chairperson indicated that the Committee had discussed the rule in considerable depth previously. He asked that the Secretary to the National Assembly take the Committee through some of the issues discussed. He pointed out that the rule being discussed was no different from the rule recently adopted in the National Assembly. Mr Masibulele Xaso, Secretary, National Assembly, said Advocate Zainab Naidoo would take the Committee through the rules, and explained that these were an adaption of the rules which were part of the National Assembly Rules. However it was important to go through the rules with the NCOP. Advocate Zainab Naidoo, Procedural Officer, National Assembly, said there was a request from the NCOP to draft rules which were similar to those of the National Assembly. There were a few adjustments to the joint rules,. She outlined that these were around the interpretation of “parliamentary protection services”. A definition for “usher” was now included under the sub rule which dealt with the removal of a Member from the Chamber. The references to “presiding officers” had been removed from sub rule 12 and the words “Speaker or the Chairperson of the Council” were added, as these were the only officials who could request security services to come into the Chamber. Members of the public in the gallery who participated in disorderly conduct would be removed by the security services as well. The Chairperson said the rule had already been applied in the National Assembly. He was satisfied that the rule was constitutionally sound. Advocate Naidoo said “presiding officers” was deleted, and instead “Speaker or the Chairperson of the Council” were used, because Section 4 of the Powers and Privileges of Parliament and Provincial Legislatures Act stated that only these presiding officers could request protection services to come into the Chamber. The National Assembly also resolved that a multi-party committee of the House be established, to which instances of conduct by Members would be referred for consideration. The Chairperson thanked Advocate Naidoo for the submission. Mr M Booi (ANC) noted that when a National Council of Provinces' Member was removed in terms of sub rules s/he would be automatically suspended. He asked what this meant, and whether the term “automatically” suspended could be explained, both in terms of the process and what the legal meaning was. The Chairperson reminded Mr Booi that an interim rule had been accepted in the National Assembly (NA) which had been discussed and dealt with. He asked whether Mr Booi was now wanting this Committee to reopen the matter again? Mr Xaso said the rules were drafted as directed by the structures of Parliament. The rule under discussion was the same as the one currently in the National Assembly rules, which had been adopted by the House. The rule was thus not a new one and he reminded Members that there were full deliberations in the National Assembly structure when the rule came through. Advocate Naidoo explained the automatic suspension, and she said Rule 54 of the National Assembly Rules and Rule 39 of the NCOP Rules dealt with the matter. Mr Booi asked whether, in the formulation of the joint rules, the Committee could not include the reference to the NA and NCOP Rules just cited. The Chairperson said the Committee was dealing with Joint Rules, not the NCOP Rules. It was not necessary to have more discussion on the matter as all the political parties, except for one, had accepted the rule. Any Member who was ordered by the Speaker or by the Chairperson to withdraw must do so, and a failure to respect the directives of the presiding officer would mean that the Serjeant at Arms would be called in to assist the Member in leaving the Chamber. A refusal to accept the request of the Speaker would warrant the Parliamentary Protection Services (PPS) being called in to assist the Member to leave the Chamber. If the Member still refused to leave the Chamber after the PPS were called in, the Member would be automatically suspended. The whole procedure had been concluded in the National Assembly. Members in the National Assembly had agreed that there needed to be a multi-party committee that would look at the build up to the removal and suspension of the Member, without reviewing the decision of the presiding officer. This committee would only analyse the conditions which led to the removal and suspension. This National Assembly Rule had been adapted also for the Joint Rules. Mr Booi said Parliament needed to be consistent in the drafting of the Rules. For example a Member who was removed from the House and subsequently suspended could take the National Assembly or the NCOP to court, therefore the Joint Rules had to be consistent. The Chairperson interjected and said the discussion proposed by Mr Booi was a waste of time since the matter had already been debated. Ms H Maxon (EFF) said the position of the Economic Freedom Fighters (EFF) on the Rules being discussed was clear, whether in the National Council of Provinces or the National Assembly . The EFF was opposed to the Rule. Sub rule (5) said “if a Member resists attempts to be removed from the Chamber in terms of subrules (1) or (2), the Serjeant-at-Arms, the Usher and the Parliamentary Protection Services may use such force as may be reasonably necessary to overcome any resistance.” She said this begged the question as to what was meant by “force” in terms of common law? Adv Naidoo said the rule was discussed in the National Assembly and it was agreed that the type of resistance a person offered would call for force equivalent to the resistance. Ms Maxon said Parliament should not draft something which was open to misinterpretation. It was clear that Adv Naidoo did not have an answer for the question. She maintained that using force would be tantamount to assault, and this was against the Constitution. It was unacceptable for any Member of Parliament to be assaulted in the House. The draft rule was also against the Criminal Procedure Act which stated that the only time the police could use force was during an arrest. She asserted that Members could not be arrested for anything said in the House. Ms Mokwele said it was clear that the legal teams from both Houses were forced to amend the rules to react to a certain environment. 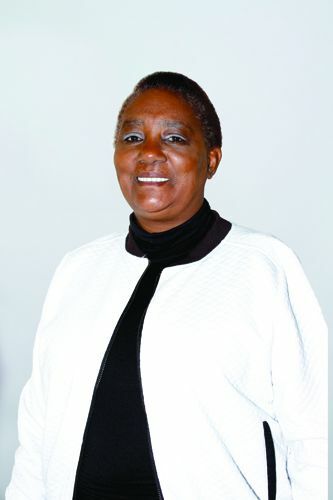 She referred to sub rule (4) which stated that a Council member who was removed from the Chamber in terms of subrule (2) was thereby immediately “automatically suspended” for the period applicable as provided for in Council Rule 39, and may not enter the precinct for the duration of the suspension. She asked how and when would “automatic suspension” apply? If a Member was to be suspended automatically, then she questioned what was the role of the multi-party committee which would be established to look at the events which led to the suspension? The Chairperson indicated that the EFF had already rejected the amendment of the Rules in the National Assembly, and the party was clearly still opposed to it. This would be noted, but the Committee would not spend much time deliberating on that. Ms Mokwele asked how the Committee would address the EFF's rejection of the rules. The Chairperson said the duty of the sub Committee was to engage, and if there was no agreement between Members, the matter would be referred to the Joint Rules Committee. The Joint Rules Committee would take a final decision, and all Members would vote if needs be. Ms Maxon agreed with the Chairperson. The Chairperson indicated that the sub Committee took no final decisions, all decisions would be taken by the Joint Rules Committee. Mr Booi agreed with the Chairperson. Ms Maxon said the point which Ms Mokwele was making was very simple - what was the sub Committee agreeing upon as a way forward? The Chairperson said the sub-Committee would report that the debate had been exhausted, and it was the Joint Rules Committee who would take the final decision. Ms C September (ANC) agreed with the Chairperson and asked that the meeting proceed. The function of the sub Committee was to deliberate on matters only, and not to take any final decision. Dr Mateme said the rules should not do away with “presiding officer”. Mr Xaso said throughout the rules there was mention made of the “presiding officer”, except in relation to the calling in of the Serjeant-at-Arms, only the Speaker and the Chairperson had powers to do that. Other presiding officers were not empowered by law to order the police into the Chamber. Dr Mateme said the rules must be amended to give authority to whichever presiding officer was chairing the House at the time. The Chairperson said the police would only be called in when there was violence in the Chamber. Normally the PPS would be called in when a Member refused to take the orders of the presiding officer. Mr Matiase agreed with the point raised by the EFF Members that the sub Committee needed to agree on procedure before proceeding. He suggested that members of any legal divisions who were present needed to find synergy between Rule 53 (a) of the National Assembly Rules and Rule 14 (g) of the Joint Rules so that these rules were compatible with one another. He said the “paranoia” of the African National Congress should not be a driving factor to Parliament adopting unlawful rules. Ms Mokwele added that it was clear in her mind that the rule was drafted to deal with the EFF. Mr Matiase said the ANC should not be allowed to run government and Parliament “mafia-style”. Ms Marina Griebenow, Senior Procedural Adviser: Research and Parliamentary Practice, Parliament, said the Report on the Joint Standing Committee on Defence was adopted by the National Assembly in the previous Parliament, and was referred to the sub Committee at the beginning of the fifth Parliament. Essentially, the problem identified was that there was an overlap between the mandates of the Portfolio Committee on Defence, and the Joint Standing Committee on Defence. What these rules were now attempting to do was to provide some clarity on that. However, this sub-Committee would not be precluded from looking at any other issues of concern. She said the membership of the Committee and the size of the Committee would be determined at the start of each Parliament, according to rule 120B. All political parties with ten or more Members were entitled to sit on the joint Committee; Membership was therefore determined by a formula and was along party lines. Rule 120C dealt with the Chairperson; she proposed that the Committee appoint one of the Assembly Members and one of the Council Members at co-Chairperson of the Committee. The functions of the Committee were covered by Rule 120D. She said that, at the moment, the decisions around the deployment of the defence force was done by the Joint Standing Committee on Defence, which needed to report to the Houses. If there was a declaration of a State of Emergency by the President, and the Houses wanted to approve the State of the Emergency, they had to meet within seven days to approve this. She said there was a requirement in the Constitution that an oversight committee be established over the SA Police Service and the SA National Defence Force. This committee existed in the rules but had never been established because of the fact of other committees already in existence. With regard to military veterans, work should be done by the committees in consultation with each other, to avoid duplication. Ms September suggested that Rule 117 should be left out for now. The Chairperson said the rules would be presented to the Joint Standing Committee on Rules. Adv Naidoo took the Committee through the draft programme. The Committee programme was adopted. The Chairperson thanked Members for their contributions.